ISLAMABAD, Feb 27 (APP): Heads of state and government, and their accompanying delegations will be given foolproof security during their stay in Pakistan for the summit of Economic Cooperation Organization (ECO). On the instructions of the Interior Minister, for the convenience of residents of Rawalpindi and Islamabad it will be a local holiday in the twin cities on March 1 while on February 28, after 1 pm, educational institutions and offices will be closed. A traffic plan for the twin cities during the summit, was also approved. From February 28 till night of March 1, Kashmir Highway will remain closed from Zero Point to Serena square for ordinary traffic. These steps will be taken to ensure security, uninterrupted flow of traffic and for saving citizens from any hardship. The traffic coming from Murree and Kashmir will gain access to Kashmir Highway and Zero Point through Faizabad via Convention Centre. Similarly the traffic coming from Golra will be turned from Zero Point to Faizabad. 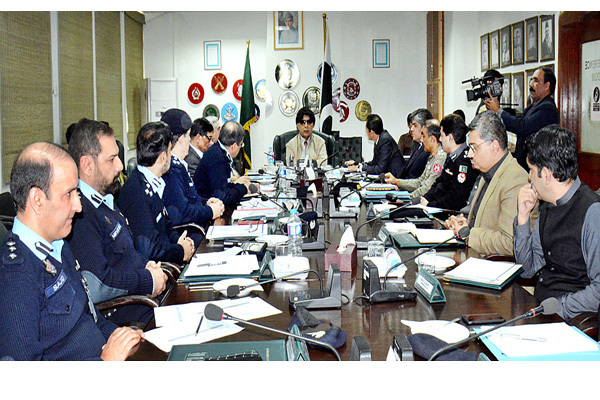 The Interior Ministry appealed to the residents of twin cities for cooperation in view of the significance of ECO meeting. the least inconvenience, he directed. administrative issue but also a matter of image of Pakistan.